Kendrick Johnson attended Lowndes High School in Valdosta, Georgia. The thin, muscular 17-year-old played on the football and basketball teams. After attending his fourth period class on Thursday, January 10, 2013, Kendrick went missing. The next morning someone discovered the student’s body stuffed upside-down inside a rolled-up wrestling mat that stood on its end in the school gymnasium. He was dead. Lowndes County Sheriff Chris Prine, in charge of the death scene investigation, quickly concluded that the high school student’s death had been accidental. According to Sheriff Prine, Kendrick must have gone into the mat head-first to retrieve a shoe or some other item. The sheriff theorized that Kendrick got stuck inside the mat and suffocated. On January 25, 2013, the head of the Valdosta-Lowndes Regional Crime Laboratory where a forensic pathologist had performed the autopsy ten days earlier, informed members of the media that Johnson’s body had “showed no signs of blunt force trauma.” Sheriff Prine assured reporters there were no other signs of a struggle on Johnson’s body. Kendrick’s parents, Kenneth and Jackie Johnson, took issue with the manner of death determination and complained that officials with the sheriff’s office and the Georgia Bureau of Investigation were not talking to them about their son’s death. On May 4, 2013, the authorities finally provided the media with a copy of the autopsy report. 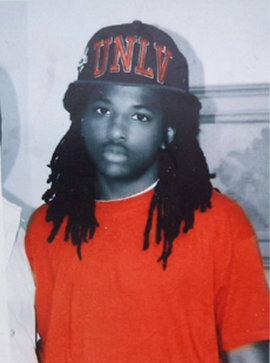 According to the forensic pathologist who performed Kendrick’s autopsy, the young man had died from “positional asphyxia.” Lowndes County Coroner Bill Watson, based upon this cause of death determination, had no choice but to rule that Kendrick Johnson had died as a result of a freak accident. Kenneth and Jackie Johnson, convinced that their son had been murdered, and that the authorities were involved in a cover-up, asked a judge to authorize an exhumation. In May 2013 the judge granted the request which led to a second autopsy. That postmortem examination was performed by Dr. William R. Anderson, a forensic pathologist with the private firm Forensic Dimensions, a company located in Heathrow, Florida. The Johnson’s paid for Dr. Anderson’s postmortem review. The dead boy’s parents were also pressing for a federal investigation into the closed case. In support of this request, the Johnson couple alleged that crime scene evidence had either been destroyed or tampered with. The sheriff’s office had also denied the parents the opportunity to view high school surveillance camera footage of their son during the hours before he went missing. The parents also claimed that postmortem photographs of Kendrick revealed lacerations on his face and body. On May 23, 2013, Kenneth and Jackie Johnson released copies of two reports that had been written by a pair of paramedics with the South Georgia Medical Center Mobile Healthcare Service. According to the paramedics, Kendrick’s body showed obvious signs of a struggle. Moreover, they found the student’s body in a pool of blood and vomit. One of the paramedics wrote that he considered the high school gym the scene of a criminal homicide. The sheriff, however, insisted that morning that Kendrick Johnson’s death had been a tragic accident. The attorney representing the Johnson family told reporters that she was sending a copy of Dr. Anderson’s autopsy report to the civil rights division of the U. S. Department of Justice. 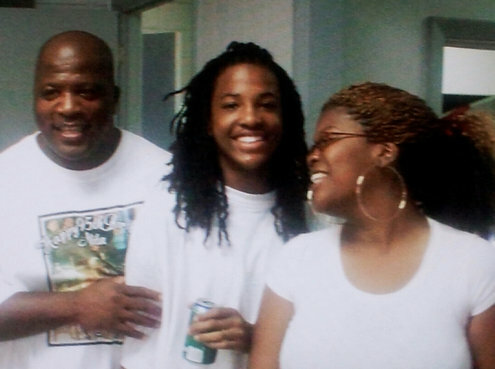 The cause and manner of Kendrick Johnson’s death has not been changed. Officially, he died of a freak accident. On October 10, 2013, Kendrick Johnson’s parents revealed when their son’s body was exhumed for a second autopsy, Dr. Anderson discovered that the boy’s internal organs were missing. “I feel outraged about them stuffing my son’s body with newspaper,” Jaquelin Johnson said. The parents have told reporters that they believe the missing organs is further evidence of foul play and a cover-up in their son’s death. In December 2013, FBI agents questioned several of Johnson’s Lowndes High School classmates as well as Lowndes County coroner Bill Watson. Agents also spent time with the deceased boy’s parents. The parents, in February 2014, filed a lawsuit against the funeral home that handled their son’s remains. According to the plaintiffs, funeral home personnel intentionally destroyed his internal organs in an attempt to interfere with the investigation into their son’s murder. On March 13, 2014, in Macon, Georgia, four of Johnson’s classmates as well as students from nearby Valdosta High School appeared before the federal grand jury looking into the death. CNN reporters, on March 17, 2014, announced that they had acquired, through the Georgia Open Records Act, an anonymous email dated January 27, 2014. According to the police tipster, one of Johnson’s classmates confessed to killing the young man. This person had not, however, confessed directly to the email sender. In an effort to identify the tipster, a Lowndes County assistant district attorney has ordered a communications company to hand over its internet records pertaining to this email. Kendrick Johnson was a 17-year-old student at Lowndes County High School in Valdosta, Georgia, where he was last seen in his fourth-period class on the afternoon of Thursday, January 10, 2013. After that, he never showed up to any of his other classes. And he wasn’t on the school bus home, as he always was at the end of the day. Worried like any parents would be, Kenneth and Jackie Johnson reported him missing to the Lowndes County Sheriff’s Department. Both in their mid-forties, Kenneth is a truck driver and Jackie, a school bus driver. They spent a long night wondering if their child would come home safely. Lowndes County High School is a complex of low lying buildings, built in a horseshoe shape around a large parking lot. The old school gym is a small building, sandwiched between two larger ones. There are surveillance cameras outside and inside the gym, where a student visited early the next morning following Kendrick’s disappearance. Wrestling mats were rolled up and standing vertically, as they usually were, in the back of the gym. Horsing around, the student noticed that one mat was different from the others. Someone’s bare feet were sticking out of the top of one of the mats. Was this some sort of practical joke? But it wasn’t Halloween, so what was going on? The student quickly left and called a teacher. When adults came to the gym and unrolled the mat, inside was the body of a male African American. It was impossible to identify him by sight; his face had been beaten beyond recognition. Paramedics were summoned. The Lowndes County Sheriff’s Department arrived after, though the exact time which they showed up is unclear. Searching the body, police found a wallet in the pocket of his gym shorts. Opening it, the identification said, “Kendrick Johnson.” Inexplicably, County Coroner Bill Watson was not summoned until 3:45 PM, approximately five hours and forty five minutes later. When Watson got there, it was chaos. The entire scene around the body was trampled by everyone from curious coaches and teachers, to the cops themselves. To say the crime scene was contaminated is putting it mildly. Little evidence was gathered; no one was questioned; and no crime scene photos were taken. The body was eventually carted off to the Harrington Funeral Home, where an interested worker did snap the only photo extant of Kendrick’s face in death. Sheriff Chris Prine soon announced that Kendrick’s death was an accident. He claimed that he had cut his fourth period class, opting instead to go into the old gym, which was only used for practices, the newer one for classes. Prine never explained why the teen would have done this. According to Prine, Kendrick got on top of the rolled up wrestling mats. His shoes accidentally dropped inside one and he dove in to get them. He got trapped, couldn’t get out and smothered to death while struggling to escape. When Kenneth and Jackie Johnson were informed that their son was dead, they were devastated. But their grief was tinged with outrage. They didn’t buy Prine’s explanation. In fact, Kenneth tried himself to get into one of the mats the way Prine said Kendrick did; it was impossible. Demanding answers, the Johnson family filed a Freedom of Information Law (FOIL) request with the county. The county refused to release any information on the case. Making matters worse, the Georgia Bureau of Investigation (GBI) came in to do the autopsy and dragged their feet. As months passed and authorities refused to release any information about their son’s death, the Johnsons decided to take action, in Valdosta, the courthouse is at the far end of the city parking lot. Weather-beaten brick buildings, none taller than three stories, that looked like they had been there for a century, ringed the block around it. The town has a hard-bitten look to it; few people walk under the blistering noon day sun, making the presence of protestors even more startling. Will they ever get answers from a police department that didn’t even follow proper procedure for family notification, let alone show any interest in investigating their son’s death? This past May— five months after Kendrick’s body was discovered—the Lowndes County Sheriff’s Department issued a press release, in which they claimed that the GBI autopsy showed that Kendrick died from “positional asphyxia,” AKA suffocation due to his being trapped in the mat. It didn’t make sense, and the Johnsons knew it. The case has gone under the national radar because Valdosta is in the middle of ‘nowhere.’ There is no major television market nearby. With no answers forthcoming from the authorities, the Johnsons only choice was to ask the dead to speak. They filed a request with the county to have their son’s remains disinterred in June 2013. The county had no choice but to grant the request. The body was then transported to a private medical examiner in Orlando, who performed a second autopsy. Those results are expected by the end of August. But in the meanwhile, the Johnsons filed more FOIL requests with the Lowndes County Coroner and the GBI. The coroner’s and autopsy reports, which have just arrived, are revelatory, so much so that they have been made available to the United States Department of Justice. His nickname was “K.J.” He had a young, handsome face, soft brown eyes and a ready smile. A football and basketball player, his friends described him as a quiet sort and family would tell you that he loved to make people laugh. But for Kenneth and Jacquelyn Johnson, the laughter died on January 11, 2013 when their beloved son, 17-year-old Kendrick Johnson, turned up mysteriously dead. He was found inside a rolled up wrestling mat at Lowndes County High School in Valdosta, Georgia. Lowndes County Sheriff Chris Prine claimed it was an accident, that Kendrick accidentally dropped his shoe into the mat, fell in while trying to retrieve it and suffocated to death. The Johnson family had trouble with that explanation. Others did too, including the county’s coroner. In his official report of Kendrick’s death, under the “Person Found Dead” box, Lowndes County Coroner W.M. “Bill” Watson’s noted, “Was never told who or when this body was found.” Then, under “Description of Circumstances,” Watson gets critical. “Cause of Death” and “Manner of Death” were both pending autopsy results. The latter refers to what caused the victim to die—that is, was he beaten, stabbed, shot, or as Sheriff Prine claims, suffocated. The former speaks to how the victim died, such as internal injuries, heart failure or oxygen deprivation. Who made the “911” call and at what time did the paramedics arrive? Why did it then take approximately five to six hours for the sheriff to notify the coroner of a suspicious death? Why did law enforcement allow the crime scene to be as the coroner said “compromised,” thus destroying important evidence that could have possibly pointed to the perpetrators? Why didn’t law enforcement cooperate with the coroner? Who moved Kendrick Johnson’s body and why? Why was the sealed body bag opened, thus compromising the chain of custody? The body bag was apparently opened to allow Kenneth to identify his son, but that goes against established forensic procedure. It’s too easy for the clothes and body of the decedent to get contaminated by anything in the outside environment, even a father’s tears falling on his son. That is why identification of a victim is usually done from a distance, with the body displayed to the family member, who is making the identification, sometimes through glass. As to the other questions, at present they remain unanswered. Venue next shifted to the Georgia Bureau of Investigation (GBI), the state police agency. The autopsy at their Dry Branch, Georgia laboratory began at 9:40 AM on January 14, 2013. It was conducted by Dr. Maryanne Gaffney-Kraft. Like most teens, Kendrick liked to listen to music. He used a non-working cell phone as an MP3 player. Why, then, is that cell phone missing? It didn’t just disappear. Who took it and why? Most importantly, could the torn wire be due to a death struggle? If so, there might be a perpetrator’s DNA on it. There is no record the ear buds were tested for same. The autopsy report is dated May 2, 2013. Why did it take three and a half months to release it? What is clear is that after the autopsy, the body was released to the Johnsons; Kendrick was buried in Valdosta’s Sunset Hill Cemetery. Sources in Valdosta have told me of racial tension within the community. Not overt, but rather below the surface. That begs the question: if it was a White boy who showed up dead like Kendrick, would there still be so many unanswered questions? Chevene King, Jr., the Albany, Georgia attorney representing Kenneth and Jackie Johnson, is trying to get the answers. He is the son of Chevene King, Sr. — also an attorney — who led the Albany Movement, a desegregation coalition that Dr. Martin Luther King, Jr. (no relation) considered an integral facet of the civil rights movement. When his son Chevene King, Jr., filed a petition on April 15, 2013 to exhume Kendrick’s body, he was continuing his father’s legacy. How injury occurred: Slipped and fell upside-down while reading into the central-hole of a vertically stored rolled-up gym mat and became trapped,” Ms. Gardner writes. Reading what? Wouldn’t a book have been recovered if this scenario were correct? Further, it contradicts Sheriff Prine’s statement that Kendrick was trying to retrieve a shoe that had fallen into the mat when he fell and got trapped. Forty-three days later on June 14 before dawn, as Kenneth and Jackie Johnson, their family, friends and Mr. King observed, the exhumation took place at Sunset Hill Cemetery. The vault containing Kendrick’s body was loaded onto a truck and then transported to Orlando, Florida, for a second, private autopsy. The results are due shortly. Sergeant Michael Adams was working the day shift on January 11, 2013 at the Lowndes County Sheriff’s Department when, at 7:45 AM, he received Jacquelyn Johnson’s missing person’s report that her son Kendrick was missing. Acting quickly, Adams drove over to the Lowndes County High School in Valdosta, Georgia. When he got there, he asked the school secretary to call Kendrick’s first block teacher to verify his absence. Once that was confirmed, Adams began to print color pictures of Kendrick for distribution. While he was doing that, the principal’s secretary told him that a mother wanted to meet with him, in reference to her missing son. When he arrived at the principal’s office, Adams found Jackie and her daughter Kenyatta, Kendrick’s sister, waiting to meet with him. One of the first things Adams wanted to know was if Kendrick had any girlfriends. That was logical. Maybe he had a girlfriend and had stayed over at her place? “They both stated that he does not have any girlfriends and that he does not particularly hang around with any sole person,” Adams later informed his superiors. Neither mother nor sister could give him any leads. Adams soon returned to headquarters, trying to figure out what had happened to the missing boy. Back in the school’s gym, Coach Philip Pieplow’s “Life Sports” class was then in progress. Vicki Darnell* and her sister Emily were tired, so they climbed up on the wrestling mats that were rolled up in the corner to lie down. After being up there for a few minutes, Vicki looked down, into one of the mats, and saw feet with socks on them. She figured someone was playing a joke. She asked her sister Emily to take a look. John Clendenon, who was in the class and nearby, came over, climbed the bleachers, followed Emily and Vicki over to the mat in question, looked inside, then summoned Mr. Pieplow to come over. Pieplow climbed on top of the mats. He and Clendenon tried to free the person from the top. When their efforts failed, they began to move the mats aside, then lowered the one with the person inside it. With an unobstructed view, Pieplow looked inside. Students were staring. A girl screamed. Upset, Peiplow was having a hard time speaking, but he was able to tell the students to leave. Shortly before 10:30 AM, the sheriff’s office received a “911” cell phone call from John Clendenon, the student who had discovered a body. The dispatcher relayed the information to Sgt. Adams, that a “code blue” had been received from the old gym at Lowndes High School. Approaching the southwest corner of the gym, he detected what he later described as, “a mild odor of a corpse.” It is a primeval, unmistakable smell. Decomposition begins as soon as a person dies. Temperature and humidity accelerate the process. The previous day, when KJ had gone missing, the temperature had been 73 degrees Farenheit, only four degrees lower than the record high of 77 in 2008. In addition, the average humidity was close to 100%. Factoring in those two factors, plus his body being rolled up tight, decomposition accelerated faster than usual, producing the odor and smell. Philip Pieplow was still bending over the immobile figure in the mat. “I don’t think anybody can help him,” Peiplow said quietly. Two, white socked feet were sticking out of the blue mat. Sticking out of the other end, “I observed a black male, exposed down to his rib cage. The facial area was severely disfigured and swollen. The only identifying feature to the victim that I observed was the long dreadlocks,” Adams related to his superiors. Sheriff Chris Prine, who would later state that Kendrick’s death was accidental — specifically positional suffocation — has never bothered to explain how Kendrick’s face got so disfigured. Prine was unavailable for comment. Sometime after Adams got to the scene, Detective Jack Priddy arrived. The two conferred and Adams told Priddy that the victim, who was unresponsive, was Kendrick Johnson. And that he was deceased. Priddy then spoke with Ssgt. Bryce Whitener. The police had noticed the surveillance cameras outside the gym. Priddy was assigned to locate the surveillance video. With Adams’ help, Priddy did locate the video he was seeking. It showed Kendrick entering the gym at approximately 1:09 PM on January 11, but never leaving. But, what else could be on the video? Priddy contacted Scott Forthe, who does information technology for the Lowndes County Board of Education. The detective explained that he wanted the last forty-eight hours of surveillance for the entire wing of the school, that included the old gym. In turn, Forthe explained that it would take a few days to meet the request. There were close to forty cameras on that wing of the school. Three days later on January 14, Priddy obtained a copy of the surveillance video from the old gym, including video from the camera at the exterior entrance to the gym; the cameras in the hallway of the gym; and the cameras inside the gym. The copy of the surveillance video was placed into property evidence and should still reside in the sheriff’s office. What is on those tapes is at present unknown to the public. Could those videos contain images of Kendrick’s homicide and his murderers? And as of this writing, Kendrick Johnson’s private autopsy report has not been released. “Damn I wanna fight so many niggas,” Chris Martin* tweeted on March 21, 2013. Two and a half months earlier on January 10, 2013, 17-year-old Kendrick “KJ” Johnson was found dead in a six foot high, rolled up wrestling mat at Lowndes County High School, in the school’s old gym in Valdosta Georgia. Lowndes County Sheriff Chris Prine and the Georgia Bureau of Investigation claimed he fell into the mat accidentally and died from positional asphyxiation. This, despite the fact that the mat had a fourteen inch diameter, while Johnson’s shoulders measured nineteen inches across. “Cause of Death: Blunt force trauma, right neck, involving right mandible [jaw] and soft tissues, including the area of the carotid body [artery] consistent with inflicted injury. Dr. Anderson believes Johnson was murdered by one blow, like a karate chop, that caused his heart to stop. So does Beau Webster, the private investigator who works for the late teen’s family. He later identified brothers Chris and Clark Martin, who are White, as possible suspects. They, along with other alleged suspects Webster has identified, are now being investigated by special agents of the Federal Bureau of Investigation. Those agents are now on the ground in Valdosta, under the direction of Michael J. Moore, the United States Attorney for the Middle District of Georgia, who has opened a federal investigation into the case. Moore, who is known for his pursuit of justice, has promised to get to the truth. “Sitting in my first block [class] looking at the chair KJ used to sit in,” Chris Martin tweeted on January 14, 2013, three days after KJ was found dead in the mat. Three days after that, on January 17, Lowndes County sheriff’s detectives Ssgt Jack Winningham and Sgt. Michael Adams were interviewing students at Lowndes County High School. According to their report, “It was brought to Winningham’s attention [by students] that Johnson had been in an altercation on a school bus during a football game,” with Chris Martin. According to Webster, Chris Martin had also fought Johnson a second time—and lost a second time. He was and is a minor. So the detectives then approached his father, Sam Martin, for permission to interview him. We have been able to has confirm that the elder Martin is an FBI agent. He refused to have his son interviewed by the sheriff’s detectives, instead referring them to his attorney. That night, Clark, Chris’s older brother – also a minor at the time – tweeted this threatening missive. As previously reported here, Det. John Marion followed up two weeks later on January 31, and got permission from either Sam Martin or his wife Susan to interview Clark and Chris. The police reports that EBONY.com has access to are redacted, so it is not clear which parent gave their permission. “Clark Martin stated that he was in the twelfth grade and had second block gym. Clark stated he did not know Kendrick Johnson, and did not speak to him. Clark also stated that during his second block gym on January 10, 2013, he was in the weight room,” it says in the police report. Clark Martin did know Johnson because he knew that he and his brother fought twice. Clark, however, did not account for his time during the fourth block, when Johnson went into the old gym for the final time. Chris Martin had been present during his brother’s interview and listening carefully. He then volunteered the following information to the detectives. How would Chris know that if he wasn’t in class with Kendrick Johnson? And if he was – the school’s class roster would prove this – why did he not tell the detectives? Further, Chris and Johnson were teammates on the school football team, which he also did not tell the detectives. According to the police narrative, Chris then gave a statement that was not included in the police files that we obtained. Establishing a timeline is all important in a murder case because it accounts for not only the whereabouts of the suspects during the crime, but also the time the time of death. Johnson disappeared after the third block at the high school. While it has been widely reported that he entered the gym at 1:09PM, this does not appear to be the case. Per the Lowndes County High School website, third block ends at 1:23PM. Since Johnson attended his third block class, and it would have taken him a few minutes to walk to the old gym, he would have went into the gym sometime around 1:30PM. Where, then, were Chris and Clark Martin at that time? “Detective Priddy obtained a copy of the surveillance video from the old gym to include the cameras inside the gym, the cameras in the hall way [sic] of the gym and the exterior entrance to the gym. The copy of the surveillance video was placed into propery evidence,” it states in a January 14, 2013 police report. Why, then, are there no images on that video of KJ’s last moments of life? During July 2013, as Dr. Anderson prepared his report on KJ’s second autopsy, that would show he was murdered, Chris Martin retweeted the following from a friend. The parents of Kendrick Johnson, the Georgia teen found dead inside a rolled-up gym mat in his Valdosta high school in January 2013, have released a video that focuses on two brothers who the family contends were on campus when Johnson was last seen alive, and who they say may have had a motive to harm their son. At a news conference Tuesday, Kenneth and Jacquelyn Johnson and their attorney, Chevene King, disclosed what they called new information to challenge the police assertion that 25 students on the Lowndes High School wrestling team, including one of the brothers, were not at school at the time the 17-year-old went missing. King referred reporters to this 2 ½-minute video his investigative team produced to advance their case, urging parents of the wrestling team members to “talk to your children” and “find out what they know,” as they focused attention on the brothers who were schoolmates of Johnson. “While more than 100 students cooperated with investigators, only two, according to the [police] case file, refused to talk to police. The two were former Lowndes High School wrestler… and his younger brother, a classmate of K.J.’s [Kendrick Johnson’s],” the video narrator says. According to the 500-plus page police case file obtained by 48 Hours’ Crimesider, authorities attempted to question both brothers in the aftermath of Johnson’s death after hearing that the younger brother had been in a confrontation with Johnson on a school bus in 2011. The boys’ father, who works for the FBI according to Johnson’s team, referred authorities to the family attorney, who in turn, said the boys would not be speaking with investigators, the case file says. Lowndes County Sheriff Lt. Stryde Jones told the Valdosta Daily Times earlier this year that the brothers were never considered suspects and that foul play was not suspected in the 17-year-old Johnson’s death. He said authorities only wanted to speak to the brothers because of rumors. The older brother did attend a wrestling tournament in Macon that day, but Johnson’s parents and their attorney are calling into question when he departed the school for that tournament. They say a school bus travel log and school attendance records cast doubt on whether the older brother was already on a school bus going to the tournament when Johnson was last seen. They say school attendance records show the tournament-bound athletes were excused from classes starting at 11:32 a.m. on January 10, 2013 and that a school bus travel log indicates the bus that drove the team to Macon didn’t depart that day until 4 p.m., nearly-four-and-a-half hours later. According to Johnson family attorney Chevene King, Kendrick Johnson was last seen on school surveillance video at 1:09 p.m. that day entering the gymnasium. His body was found there inside a rolled-up gym mat the next day. Warren Turner, attorney for Lowndes County Schools, told 48 Hours’ Crimesider on Wednesday that the school bus travel log Johnson’s legal team is referring to is a “trip request” that was filled out weeks before the tournament to reserve the bus. He says it does not indicate when the bus actually departed the school. According to Turner, on the day of the wrestling event, the wrestling team had the school’s first lunch session which lasted from 11:32 a.m. to 12:02 p.m., and then the team and coaches boarded a bus and left for Macon, which is approximately 150 miles north of Lowndes High School. Turner says the wrestling coach’s cell phone records indicate the team was in Cordele, Ga., at 1:53 p.m. Cordele is approximately 85 miles north of the school, indicating that the bus would have already been on the road, and more than an hour into the drive to Macon. The Valdosta Daily Times obtained the cell phone records of the wrestling coach and a weigh-in report for one wrestler singled out in the Johnson family’s video, and shared them with Crimesider. The phone records appear to show that the coach did receive a phone call while in Cordele, Ga. at 1:53 p.m. on January 10, 2013. The weigh-in report indicates the wrestler was weighed in at the tournament, but does not show what time that took place. Turner, the attorney for the school board, told Crimesider the Lowndes High School wrestling team was scheduled to weigh-in for the event at 4 p.m.
Paul Threlkeld, an attorney representing the brothers, sent a statement to Crimesider Tuesday labeling as “incorrect” the Johnson family’s claim that the bus did not leave Lowndes High School until 4 p.m. on Jan. 10, 2013. “We understand that the departure time was sometime between 12:15 and 12:30 PM, an hour before KJ entered the LCHS [Lowndes High School] old gym. This was after the students had the opportunity to eat early lunch,” Threlkeld said. Johnson family attorney Chevene King sent Crimesider three documents, including the school bus travel log referenced above, that he says came from the Lowndes County School Board. King says all three documents indicate the bus to the wrestling tournament did not leave the school until 4 p.m. The documents do list a 4 p.m. departure time, but it is unclear when that information was entered, or whether the bus did in fact leave then. The video released by the Johnson family attorney contains surveillance images from the school of what he says is Kendrick Johnson in line to get lunch on the day in question with at least one wrestling team member who was going to the tournament. It also contains surveillance images of someone the attorney and his investigative team say is the older brother the family is focusing on, “criss-crossing the hallway in front of the old gym” on the day Johnson was last seen alive. The Lowndes County Sheriff’s Office closed its investigation into Kendrick Johnson’s death on May 2, 2013, nearly four months after the 17-year-old was found dead in the school gym in Valdosta. Authorities ruled his death a freak accident, saying he fell head-first into an upright mat while trying to retrieve a shoe, and became trapped. An autopsy conducted by the Georgia Bureau of Investigation concurred, citing asphyxiation as the cause of death. Johnson’s family insisted there was more to the story and had their son’s body exhumed for a second autopsy. It was then that a private pathologist concluded the teen died of blunt force trauma to the neck. Lawsuits have been filed – so many it is difficult to keep up. Two boys, whose father is an FBI agent, were accused of being implicated in or causing Kendrick’s death. The parents of Brian and Brandon Bell sued a publishing company that reported on the story that implicated the involvement of Kendrick’s school-mates. Kendrick’s parents have filed a $100 million wrongful death lawsuit, alleging that Brian and Brandon Bell violently assaulted Kendrick, leading to his death. Threlkeld added that the agents seized computers, cell phones and other property. 48 Hours’ Crimesider reports that they learned that this week, the U.S. Attorney’s Office sought access to Lowndes County Sheriff’s Office e-mails regarding the Kendrick Johnson investigation. 11alive reports that attorney Brice Ladson, who represents the Bells, informed them that government agents searched and seized property from the Jacksonville home of FBI agent Rick Bell, father of Brian and Brandon. Ladson appears to be more concerned with communications that he has had with the Bells that might appear on their computers and cell phones, which he says is attorney-client privileged information. To date, there has been only one arrest in the investigation of Kendrick’s death. In May 2015, Dalton Chauncey admitted to giving false information to the police. Chauncey told the police of a person he said overheard a conversation where two people admitted to being responsible for Kendrick’s death. Chauncey was scheduled to be sentenced on June 18, 2015, but no updates on his sentencing have been reported. A spokesperson for U.S. Attorney Michael Moore declined to comment except to say the investigation is ongoing. There has been some criticism from those supporting the Bell brothers that the investigation has taken too long. That is not unusual for the Department of Justice. For example, a 5-year investigation was conducted into the actions of Logan J. Smith and Victoria A. Cheek-Herrera. The following video, published in November 2014, states that the Bells refused to cooperate with federal investigators. That might be the reason why investigators sought and were issued the search warrants.